In the first study, researchers fertilized a group of mouse eggs using sperm from male mice that were fed a high-fat diet and another group of eggs from mice that were fed a normal diet. Once the baby mice were born, researchers tracked their weight, glucose intolerance, and insulin resistance. After seven weeks, the baby mice whose fathers were fed high fat diets had developed impaired glucose tolerance and insulin resistance — both of which are symptoms of diabetes. At 15 weeks their condition became severe. 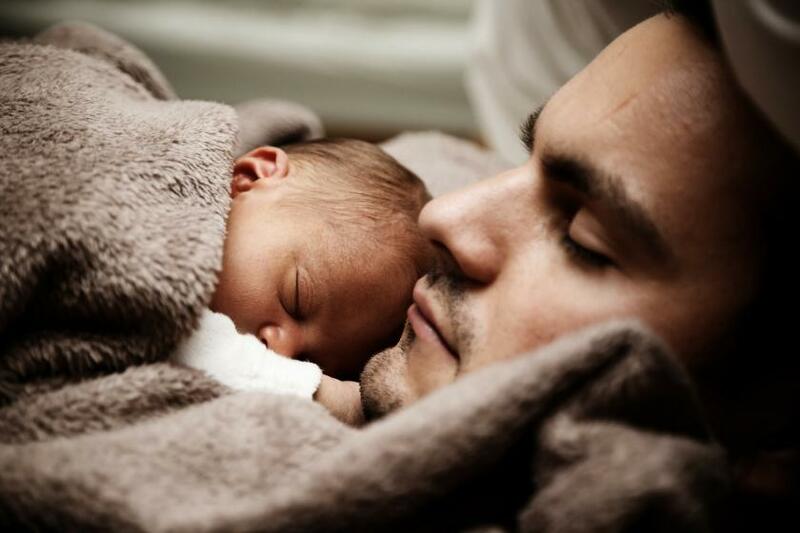 While there were no significant differences between the two groups’ body weights, showing signs of prediabetes early on in life demonstrates the impact a father’s diet could have on their offspring in the long term. It all comes down to the genes the male mice passed on through their sperm. DNA and RNA both play key roles in genetics; however, they carry out different responsibilities inside the body. The more commonly known DNA stores and transfers genetic information, while RNA acts as the messenger that translates the genetic information and activity of genes during early development. To be sure, researchers purified the fathers’ RNA (ribonucleic acid) from both groups of sperm and injected them directly into normal female eggs. The offspring of male mice fed high fat diets wound up being glucose intolerant, but not insulin resistant. Those who are glucose intolerant have a hard time handling even normal amounts of glucose (blood sugar). Insulin is a hormone that works to efficiently use the blood sugar from food and turn it into energy. But those who are insulin resistant fail to process the blood sugar correctly. Knowing this, researchers scoured the genes of the mice born from fathers with high fat and normal diets and compared them. When a father mouse ate a high fat diet and reproduced, their offspring had mutations in the genes involved in processing sugars, carbohydrates, and ketones (chemicals produced when there is an insulin shortage). In the second study, researchers repeated the experience, except they tested the sperm of male mice that ate a low-protein diet compared to a normal diet. They found no differences between the two groups of offspring until they isolated the RNA in the sperm and found a certain group of genes responsible for the mouse’s stem cells were affected. This isn’t the first time researchers discovered that a father’s diet before conception can influence the outcome of the offspring. In 2013, a study published in the journal Nature Communications, explained how a father eating a diet low in nutrients can create abnormalities in genes linked to development, neurological and physical disorders, and certain cancers. Source: Sharma U, Conine CC, Shea JM, et al. Biogenesis and function of tRNA fragments during sperm maturation and fertilization in mammals. Science. 2015. Chen Q, Yan M, Cao Z, et al. Sperm tsRNAs contribute to intergenerational inheritance of an acquired metabolic disorder. Science. 2015.